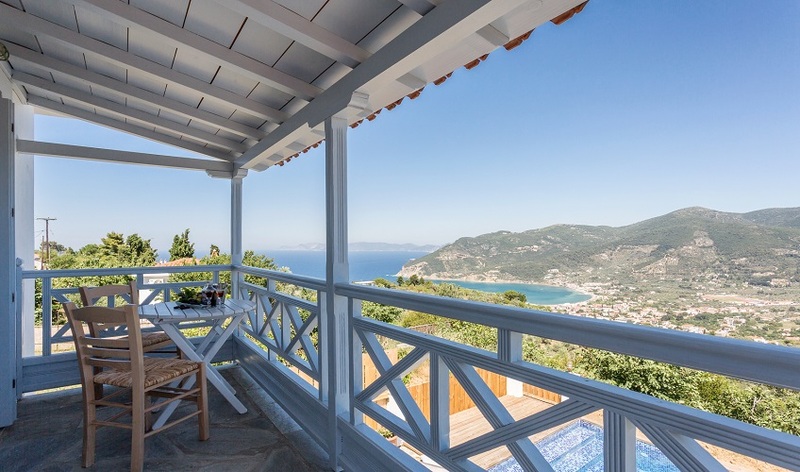 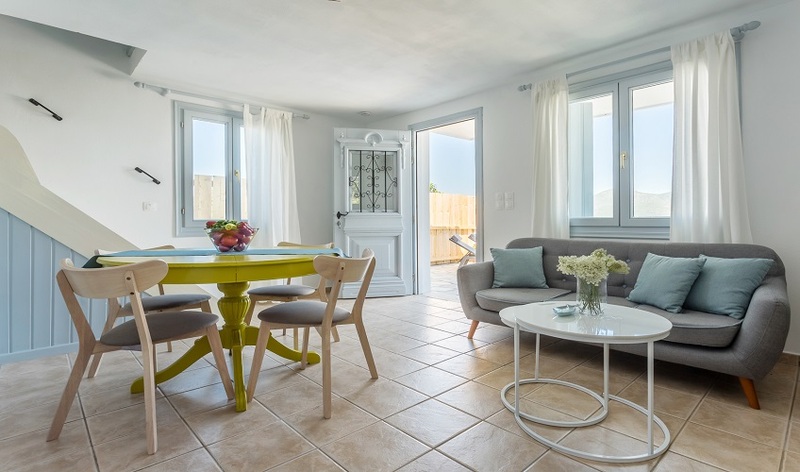 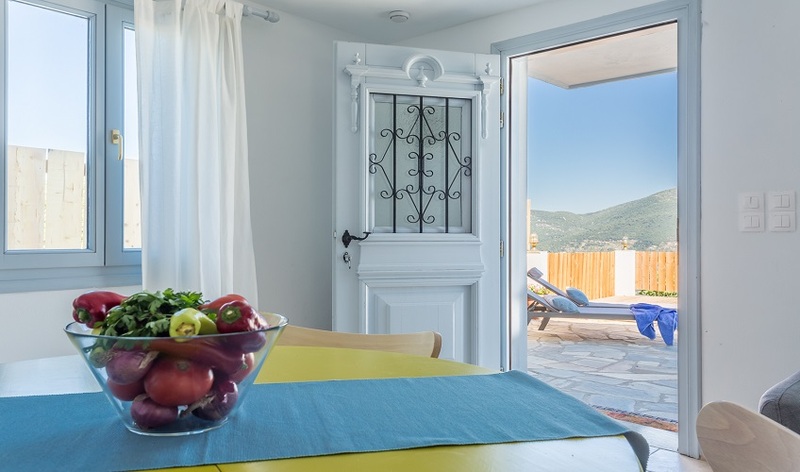 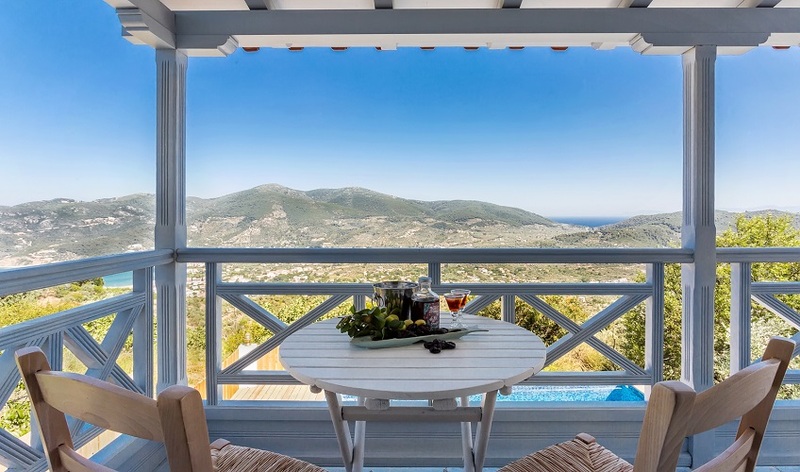 Set high above the picturesque town of Skopelos with sweeping views of the harbour and the sea, Villa Naida is located in the Raches area and is the perfect home to base your romantic Skopelos island holiday. 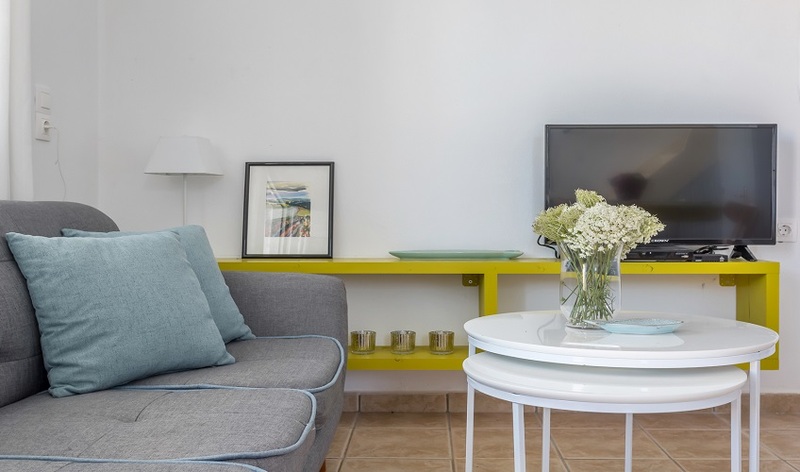 Villa Naida is a charming one bedroom, two level traditional style home with a clean and fresh contemporary feel to it. 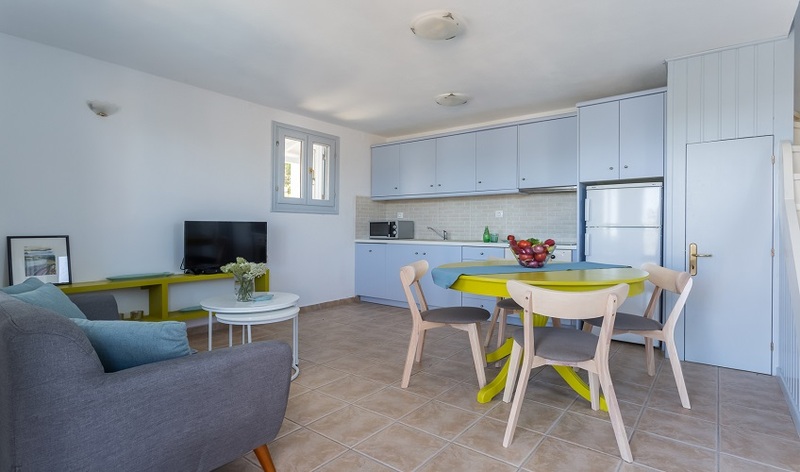 An open plan kitchen, fully equipped with a full size cooker, fridge freezer, microwave & dishwasher as well as the utensils to cook a delicious meal at home. 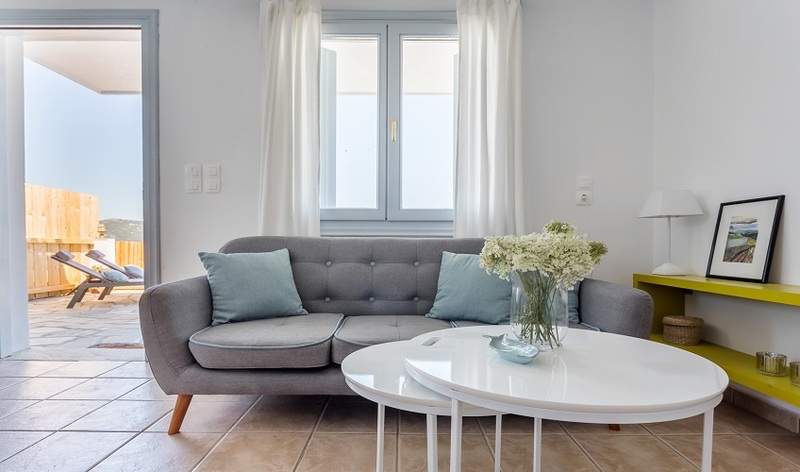 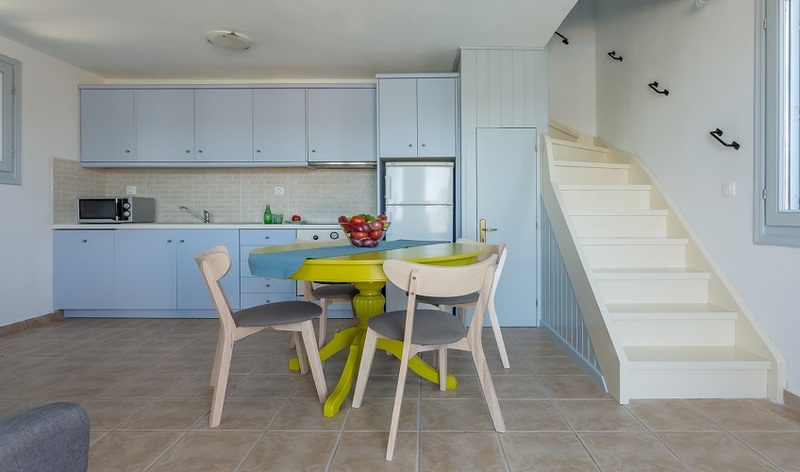 The open plan living room is furnished in a comfortable contemporary style to reflect the light and colours of the island leading out to a spacious terrace and pool area. 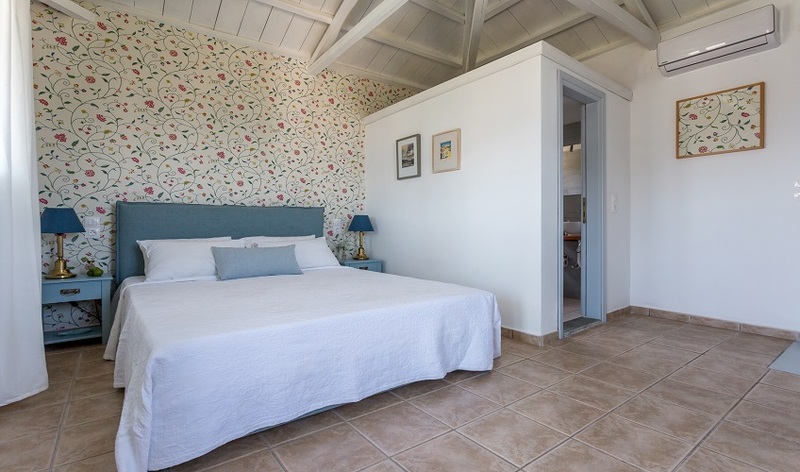 Traditional timber stairs lead upstairs to the comfortable bedroom and en-suite bathroom. 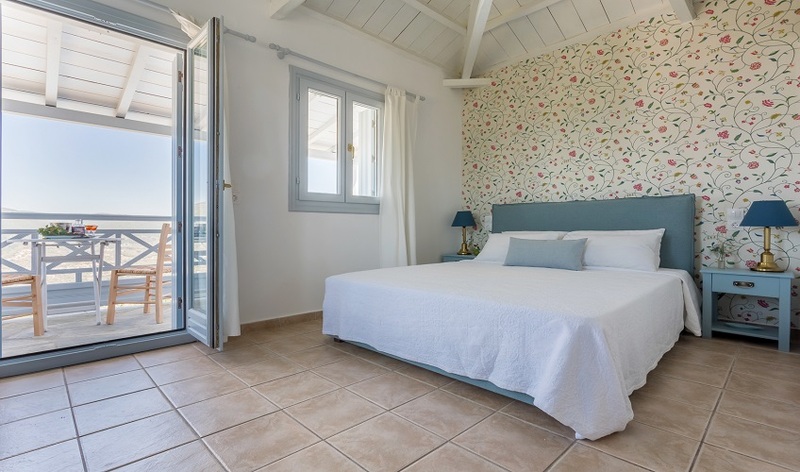 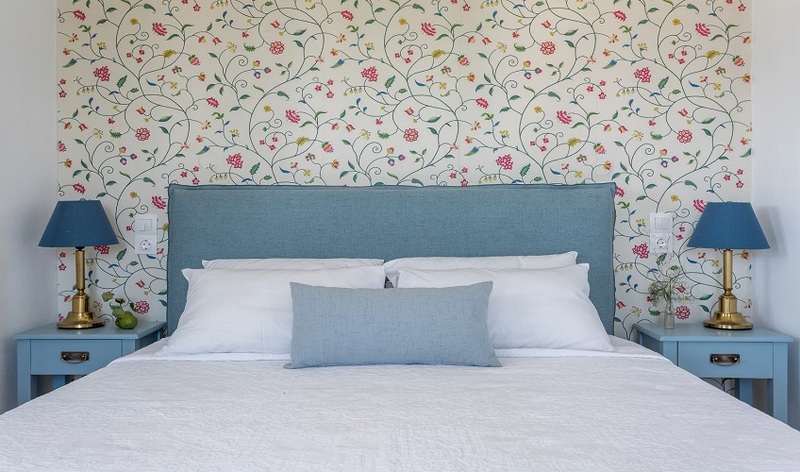 The bedroom is light, spacious and romantic. 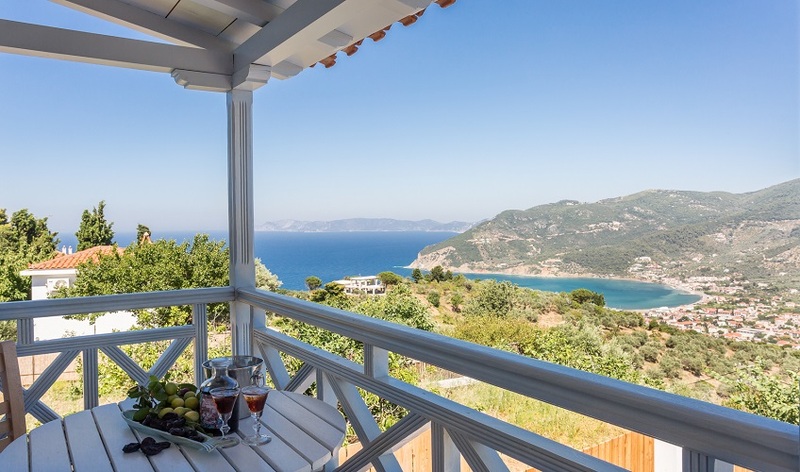 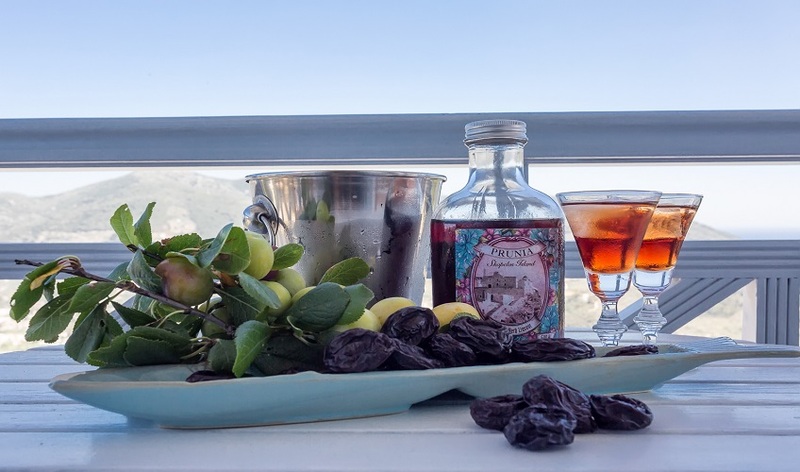 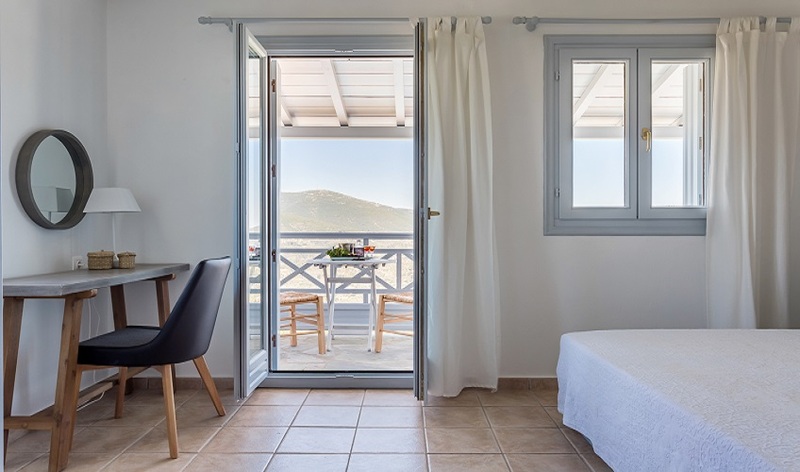 Step onto the private balcony and enjoy majestic views of Mt Paluki and across the sea to Alonissos. 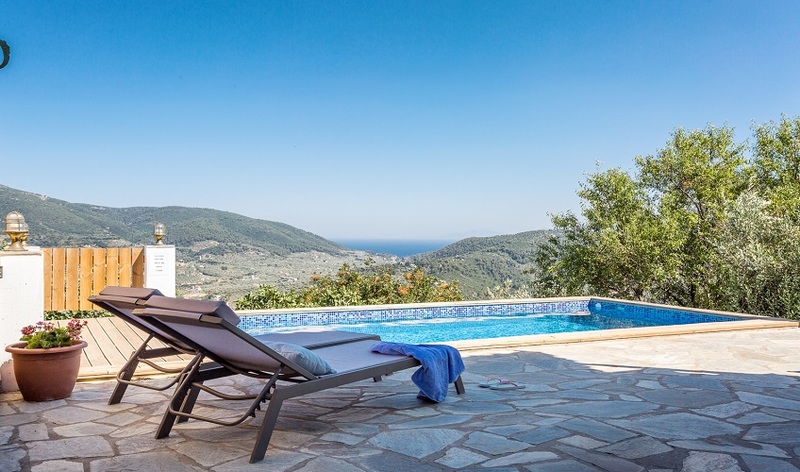 Villa Naida offers guests a beautiful stone terrace and a fantastic stepped swimming pool and barbeque area to one side. 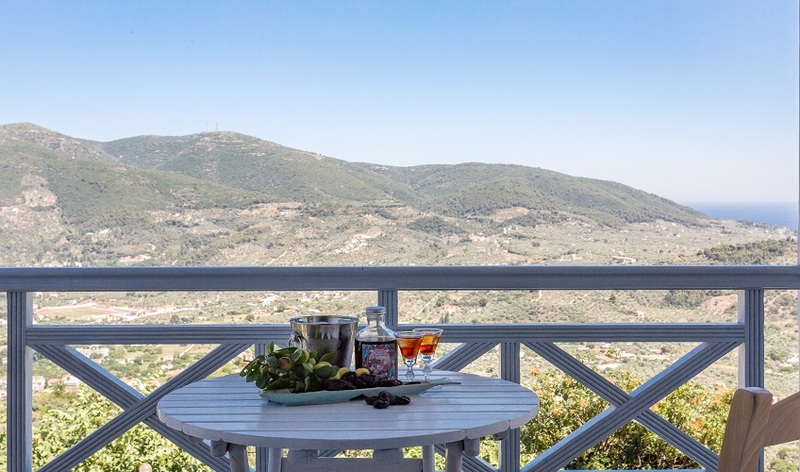 Days can be spent relaxing by the pool whilst taking in the spectacular views and the evenings dining alfresco under the stars listening to the summer breezes as they rustle through the olive trees. 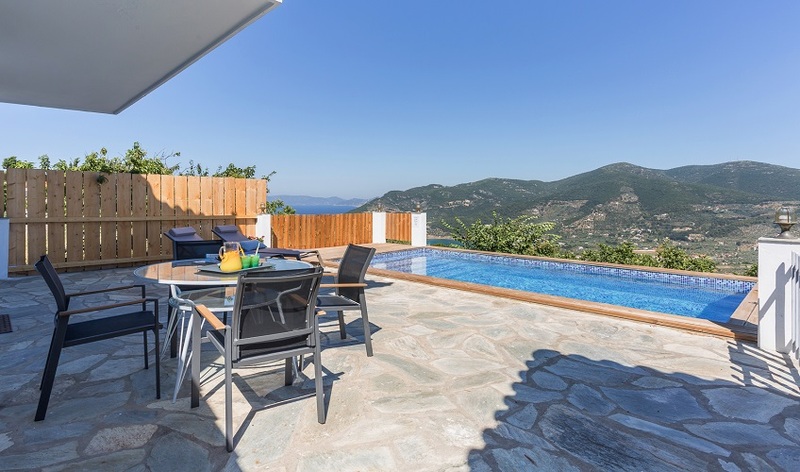 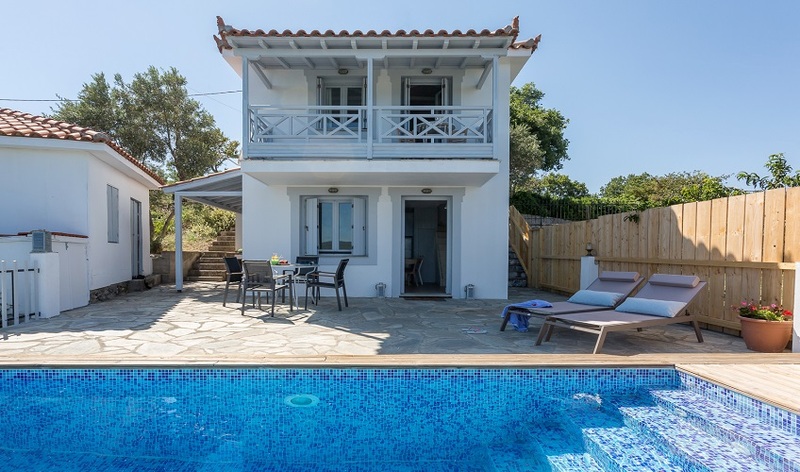 This villa is perfectly located for those wanting to get away from it all yet only a 15minute drive to Skopelos Town with all its amenities and another 15minute drive to Limnonari beach possibly, one the nicest beaches on the island.